PRP is a concentrated fraction of the patient’s own platelets, which contain the body’s regenerative growth factors: platelet derived growth factor, transforming growth factor beta, fibroblast growth factor, insulin like growth factors 1&2, vascular endothelial growth factor, epidermal growth factor, interleukin 8, keratinocyte growth factor, & connective tissue growth factor. We apply PRP through a therapeutic injection into areas of injury (sprain or strain) or degeneration (osteoarthritis) to initiate accelerated growth and repair of these tissues. 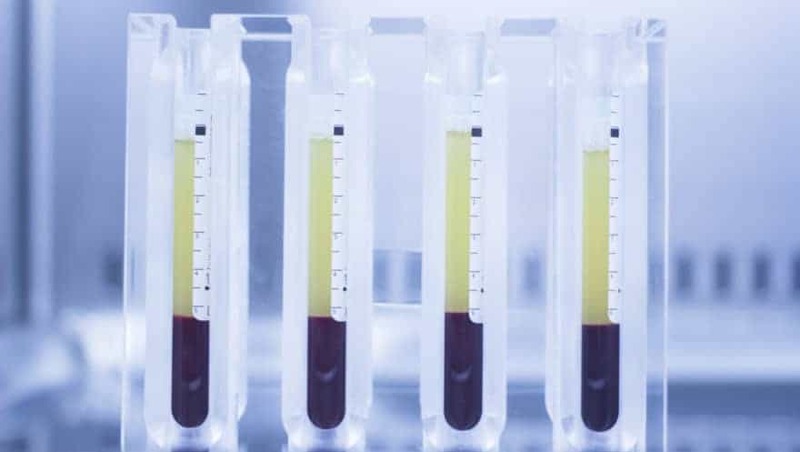 PRP treatment consists of drawing a 30-60 cc (1/4-1/2 cup) of venous blood, which is then processed through our FDA approved Harvest Smartprep device to separate out the platelet rich plasma concentrate. Treatment consists of a series of 1-3 injection treatments spaced apart by several weeks to allow the optimal therapeutic effect to take place between treatments. 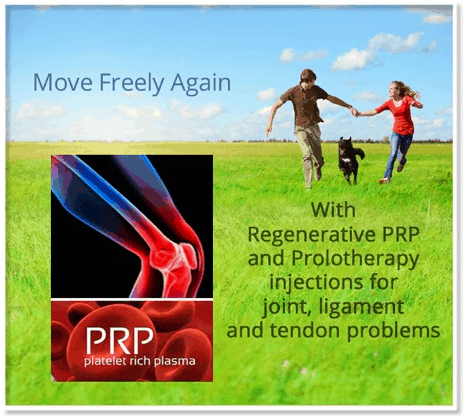 After processing the concentrate, the PRP is injected into the affected joint, ligament or tendon. What can a person expect to feel during and after PRP? We will typically anesthetize the area to be treated to minimize the intensity of the treatment, but patients should expect to feel some mild to moderate pain after the injections. This pain will typically be moderate for the first few days after being treated and there may be a residual soreness in the area for the first number of days up to a few weeks after each treatment. This should not be treated with anti-inflammatory drugs, as it is part of the therapeutic action of the treatment. We can prescribe pain relievers if the pain significantly interferes with the patients daily activities. What are the results of PRP?